Psychology Professor Andrew Delamater in his office. Photo by David Rozeblyum. Psychology professor Andrew Delamater spends a lot of time with M&M-loving, and occasional alcohol-sipping, rats. He and his students perform experiments with rodents, which he breeds himself, in his James Hall laboratory. There, he tests out his theories on associative learning and Pavlovian extinction, or the process by which conditioned behaviors disappear. "There is a lot of converging evidence that the same brain networks underlying certain abilities are preserved across the animal kingdom," he explains. For all his profound scholarship on the topic, Delamater was recently named editor of the Journal of Experimental Psychology: Animal Learning and Cognition, a publication that plays a leading role in disseminating new information and informing related disciplines on studying the psychological foundations of learned behavior. "It has this reputation for being the journal that you would want to send your best work to," he says. "The editor plays a primary role in directing the research: Filtering out what gets published and directing the research agenda for the community." In other words, he’s honored. Some of the people he considers to be among the top minds in his field have previously filled the role. 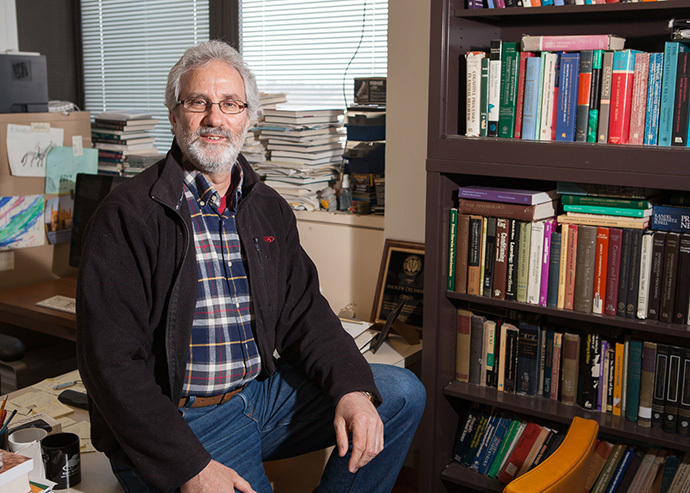 Delamater, who has been at Brooklyn College since 1994, has served as the associate editor for the Quarterly Journal of Experimental Psychology and has edited special sections of the Neurobiology of Learning and Memory. In his new leading role, he plans to try to broaden the Journal of Experimental Psychology: Animal Learning & Cognition’s readership by encouraging cross-disciplinary studies of learning and behavior. "As the field develops a better understanding of the basic mechanisms involved in simple forms of learning, important applications to mental health will follow," he says. Which brings us back to the rats. In one recent publication, Delamater, and his then post-doctoral assistant served up margaritas (or salt-laced alcohol) and rum punches (sugar flavored liquor) to rats, teaching them that different stimuli in their environment signal the availability of one or another type of drink. He and his team of researchers then try to determine whether these Pavlovian associations created by the stimuli bias the rats to prefer working to obtain (by pressing different levers) one drink over the other. The findings showed that these cues did make rats "crave" a specific drink, but also that extinguishing the cues beforehand had the effect of eliminating this craving effect. He creates similar experiments with the M&Ms, or sugar-infused pellets. More generally, Delamater and his students are searching for the specific brain regions and neural circuits that are involved in encoding different aspects of rewards (like what they are and when they may become available), and also those regions and circuits that may be involved in producing goal-directed or habitual responses. "Alcoholics and substance abusers are often triggered by cues and respond quite habitually to obtain drugs," he explains. "Everything can be perfectly fine and then they get a cue and suddenly have this urge to drink or use. This research is getting at the question of the nature of the process of craving and what we can do to alleviate the effect cues have on craving." Broadly, Delamater’s scholarship is directed toward the study of basic learning processes with a focus on understanding the psychological and neurobiological foundations of associative learning. "Ultimately, I do a lot of thinking about how the brain solves problems and figuring out how animals learn," he says.